Extensive testing was recently completed ensuring the cameras were ready to be turned on across this busy road. The cameras calculate the average speed of a vehicle between the cameras, as well as the vehicle’s actual speed at each camera location. Department of Planning Transport and Infrastructure General Manager of Safety and Policy Programs, Julie Holmes said the Northern Expressway cameras are located between Port Wakefield Road and Gawler Bypass and monitor a 16.6 km section of road that carries an average of up to 23,000 vehicles per day. “We know, as speed increases, drivers have less time to react while requiring a greater distance to stop. “Since the Northern Expressway opened in 2010 until the end of 2015, there have been 63 crashes resulting in one fatality, five serious injuries and 20 minor injuries. “Speeding and inappropriate travel speeds has been identified as a contributing factor in an estimated 30% of fatal crashes on South Australia's roads each year,” said Ms Holmes. 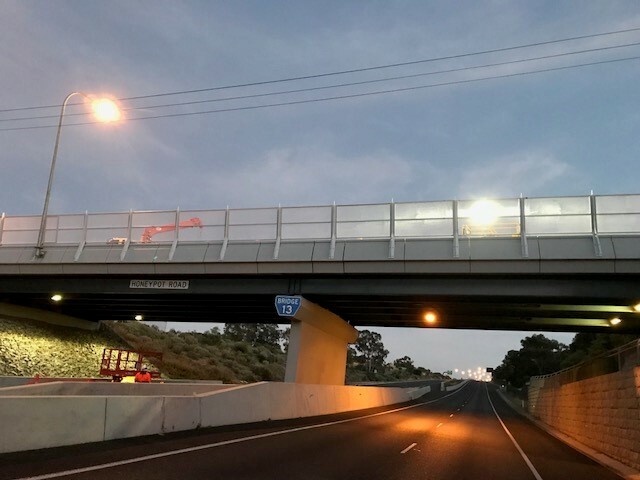 Point-to-point safety cameras are currently operating on the Dukes Highway, Port Wakefield Road, Victor Harbor Road, Sturt Highway and South Eastern Freeway.